Miss claire soft matte lip cream (01,08,09,45,50,55,58,62) — Review and Swatches. These are available on various offline stores. These come in bottle packaging with black caps and has a stick applicator . The bottles are colour coordinated , hence very easy to find if you have more than one. Also the numbers are mentioned below . These are neither matte not glosses but creamy in texture. Slides on to your lips like butter. These have matte finish. It takes time to settle down , until then it transfers a bit. When it settles, it doesn’t transfer. It glides on to your lips very smoothly, without drying your lips. Also smells like chemical-chocolate-vanilla. It stays for about 4-6 hours. It fades when you eat something oily but leaves a pretty stain to your lips. 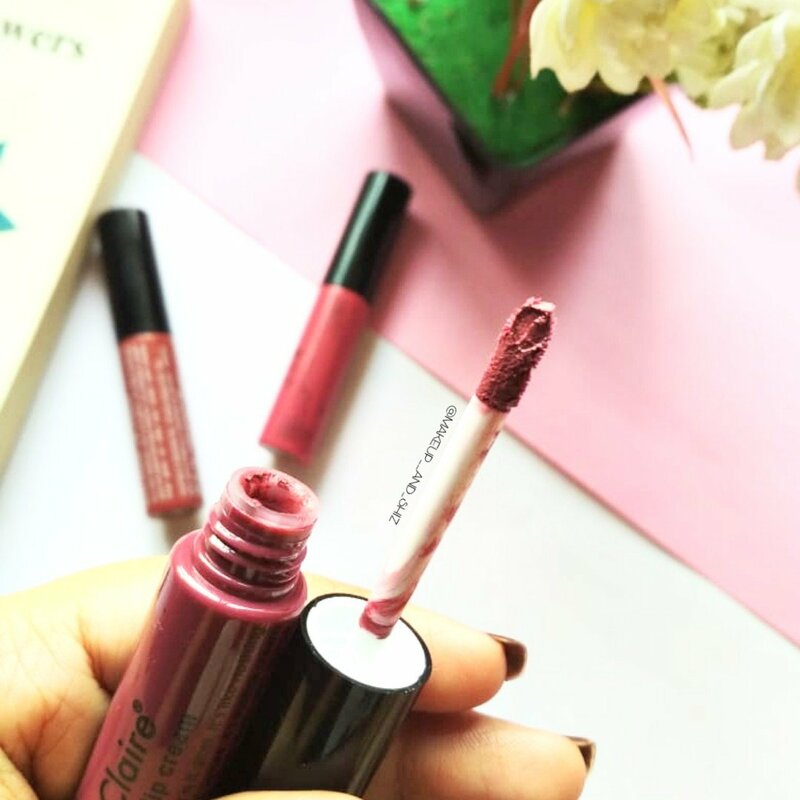 Also , these are known to be Dupes of NYX soft matte lip cream (Rs 600). Fades away after eating oily food. That was all for this post ! I hope you all like it. Have you tried any Miss claire SMLC yet ? If yes, comment down and let me know ! Previous Basic Skincare Routine for all skin types. Next Ryaal Make Me Glow Revitalizing Face Mask– Review .